The holidays are upon us and with that, more and more people are looking for reasons to celebrate with sekt – and rightfully so. But many people don’t know just want to do with it. Sure the traditional fruit garnish is a great pairing or a generic canapé, but we’re here to tell you that with so many types of sekt to choose from, you can make an entire meal out of these great wines! Basic Austrian Sekt & Stuffed Mushrooms: These are generally light, easy drinking wines that can be made in any method and from any one or multiples of the 36 designated grapes of Austria and can be from anywhere in the country. These wines aren’t the “serious” stuff, but they are fun and light on their feet making them perfect for cocktail hour and conversation. 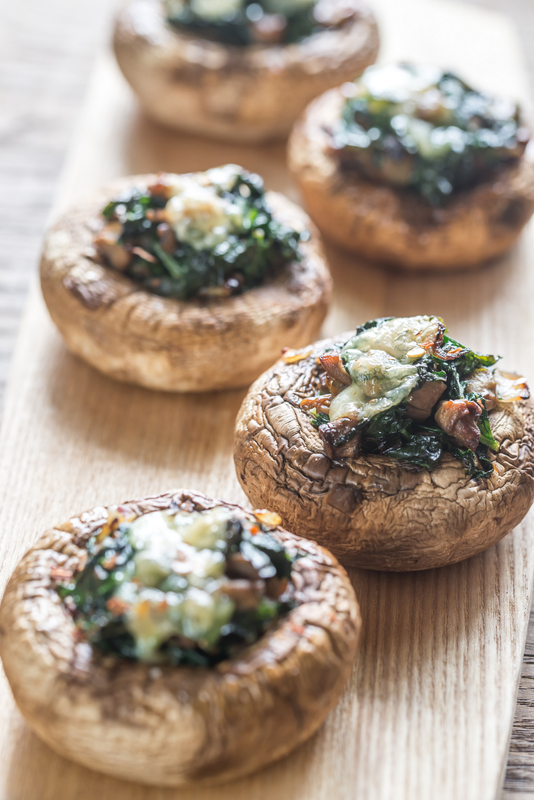 Reach for a bottle of something white and take it up a notch with this great recipe for spinach and cheese stuffed mushrooms from BettyCrocker.com. You can thank us later. 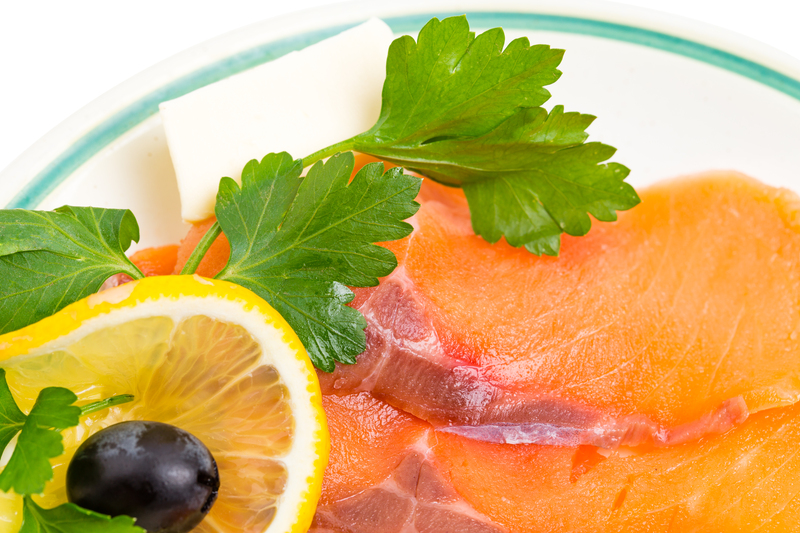 Klassik Sekt & Smoked Salmon: Moving up the pyramid in quality to our “Klassik” sekt, these wines have spent at least 9 months on the lees adding to the mousse of the wine and its ability to pair with more, shall we say, complex foods. Reach for smoked salmon – the iteration is up to you – but we love this idea for smoked salmon toasts from Jamie Oliver. Here you might find a rose is perfect company. Gruener Veltliner Reserve Sekt & Winter Vegetable Gratin: By now you have probably heard that Gruener Velltiner is the ultimate vegetable wine, but when you bring in a hefty addition of cheese you should reach for the bubbly variation with a bit of age and made in the traditional method. 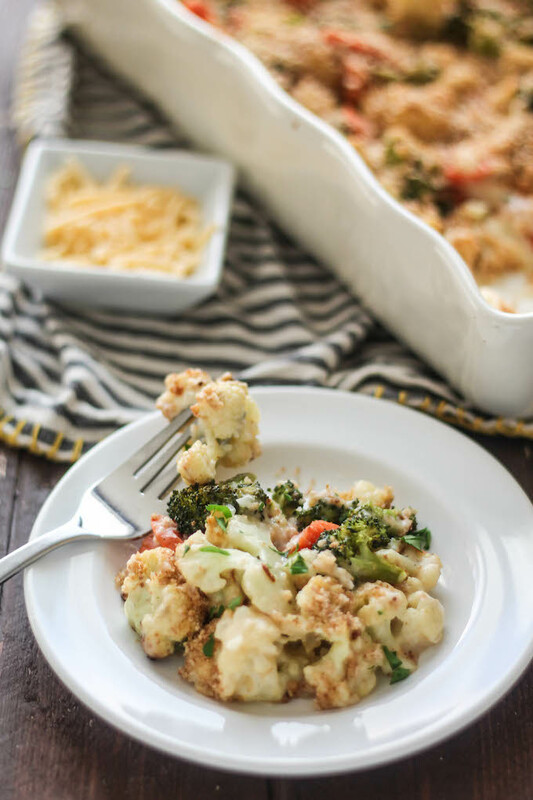 We love this recipe from Destination Delish. 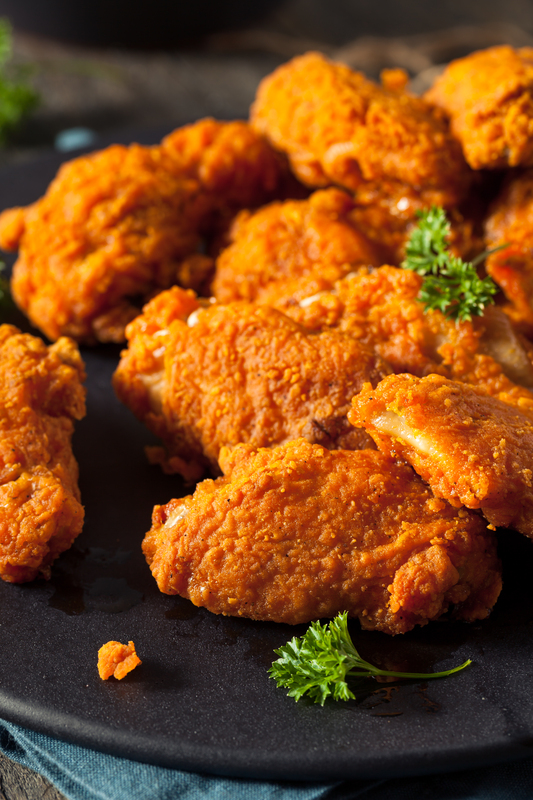 Grosse Sekt Brut Nature & Fried Chicken: Fried food & sparkling wine has almost become a classic pairing by now and you can easily see why the second you bite into a a juicy, but crunch piece of chicken and was it down with a dry, but creamy wine. For this iteration, we’re sticking with Brut Nature and a classic Blanc des Blancs Chardonnay for a classic twist, Austrian style. Want to make your own fried chicken? Follow this easy recipe from A Taste of Home. So there you have it… with so many sekts to choose from the pairing opportunities are actually endless! No reason to drink bubbly just for celebration this holiday season. Make it a staple at the dinner table or an entire meal out of it. What are some of your favorite sparkling wine & food pairings? We’d love to hear them!